Halloween is an exciting time for your little ones – they get to dress up in fun costumes and go door to door receiving copious amounts of chocolate and candy. 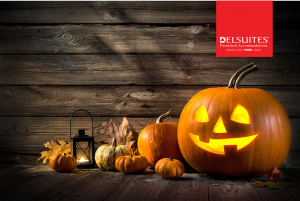 However, it is important to stay safe during this time of year, as there are certain risks associated with Halloween. Here are some important Halloween safety tips to keep in mind this time of year. • Attach reflective tape to your child’s costume or candy bag, so that cars can see them better when they are trick or treating after dark. 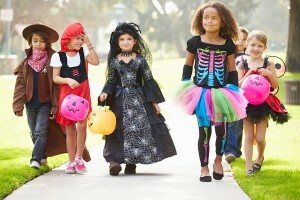 • Make sure that the costume is not so long that your child would trip over it. Also, avoid masks that hinder your child’s vision as they might trip and injure themselves. Use non-toxic kid-friendly makeup instead. • When your child’s Halloween costume includes makeup, make sure to test it on their arm first to see if it irritates their skin – before putting it on their entire face. • Buy a costume that is flame-retardant, so that the material will not burn and pose a fire hazard. • When trick or treating, only go to the houses that have porch lights on lit streets. • Go trick or treating in a group and stay together. 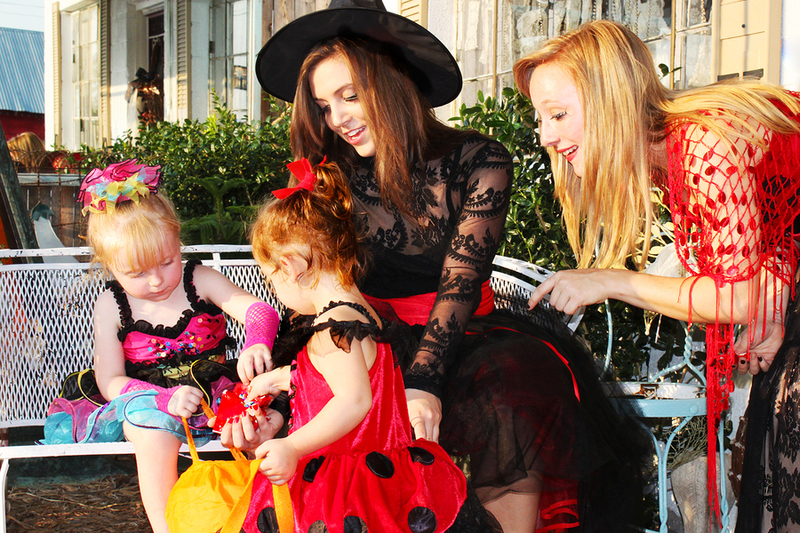 Older children can trick or treat on their own with friends and younger children can go with an adult. For very little children there are usually indoor events, such as trick or treating at the stores in a shopping mall. • When your older children go out on their own, establish a curfew and ensure that they have a mobile phone so that they can call you if they need to. • Give your child a flashlight to take with them when they are trick or treating. Make sure that the batteries are fully charged. • Your children can also carry glow sticks which will help them to see as well as making them more visible to drivers. • When you are carving pumpkins never let young children handle the knives without adult supervision. 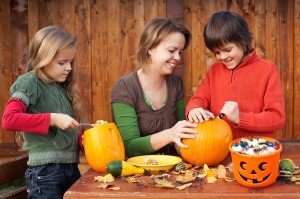 Have them draw their designs on the pumpkin and then you or an older sibling can do the carving. • Instead of using candles in your pumpkin, which can be a fire hazard, use a glow stick to safely illuminate your pumpkin instead. • When your child gets home, take a look through their candy. If your child is very young, take away any gum o r hard candy that could cause choking. • Make sure that your home is safe for when trick or treaters visit. Remove anything that might cause children to trip or fall while approaching your house and make sure that the lights are on outside at all times. • Your children should have good road sense and should be in the habit of looking both ways before they cross the street, even if they are excited to get to the next house. These are just a few important Halloween safety tips to keep in mind to ensure that your little ones have a safe and fun evening. What’s your favourite part about Halloween?